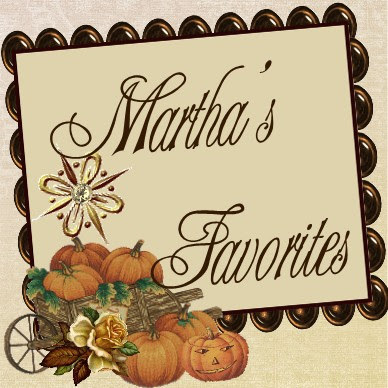 Martha's Favorites: TEACUP TUESDAY, WEBSITE & GIVEAWAY! CAN IT GET ANY BETTER? Hello Ladies! Welcome to another Tea Cup Tuesday to share our passion for Tea Cups and everything that has to do with tea! 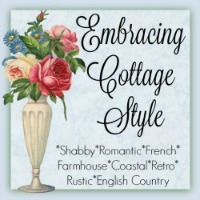 I have been so frustrated this week with Blogger. I can't even sign-in to my own blog! If I leave a comment, (this after several attempts) it does not have my name on it, instead the comment appears anonymous. It is enough to cause a grown woman to spit! Sorry! I see some of you have managed to leave comments on my blog. If you have figured out the problem, please tell me, please! I am going crazy! Ok, I feel better now! How was your week? :) My was good! It was extra good because I was able to find these next three tea cups at a real great price. The first one is a Royal Albert, England. This one is called "Sweet Violets." 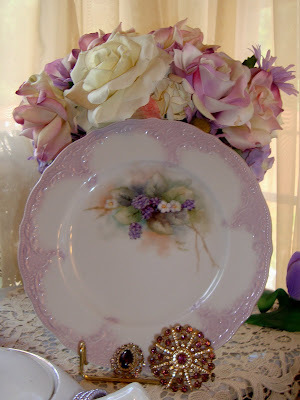 Royal Albert is quickly becoming one of my favorite manufacturers. Cup number 2 is also a Royal Albert. Very vintage and very cute! Love the gold on the edges. The colors are so rich. I have it currently sitting on my kitchen counter. I don't know why I don't take pictures of my kitchen more often. I do have a very nice kitchen. The randon pictures on this post are of my kitchen. Did I ever tell you I collect Mikasa? Well, you guessed it I do! Mostly dinner sets,(in my defense.) I am defending myself now, not good! Anyway, cup number 3 is a coffee can shape. 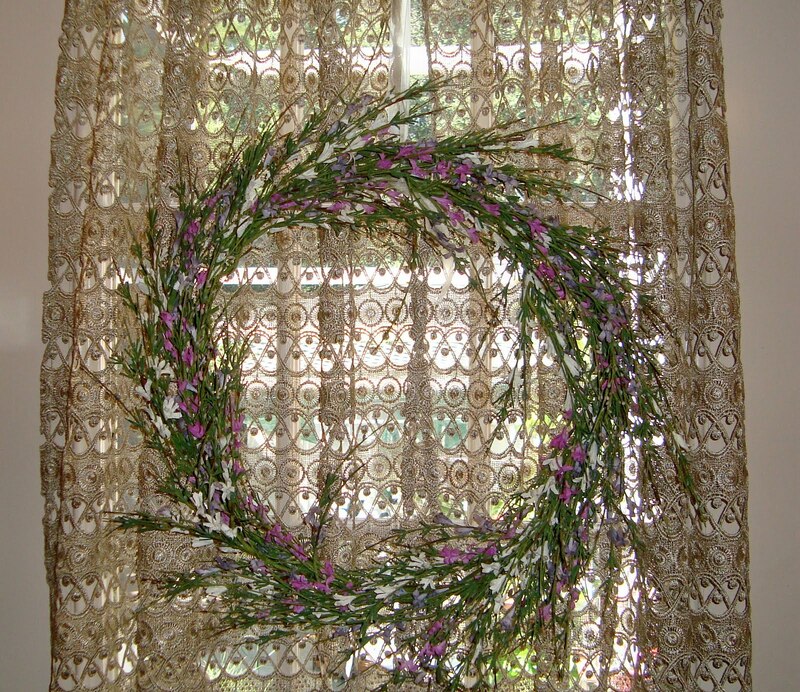 It is a Mikasa and the pattern is called "Terrace Bloom." It is so beautiful. Pictures do not do it justice. If you have read this far, than you get a chance at winning this cup. I picked up two and would like to share this one. 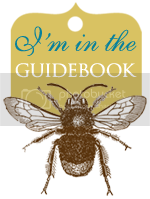 As you can see by the button on the top of my page, MY WEBSITE IS NOW OPEN! A dream come true for me. I do have a lot more items to add, but I have been told (by someone, way smarter than me) it is ready to go! I do hope you stop by. This give away is my way of celebrating this long awaited opening. The give away will run until June 22, 2011. I have learned so much! Ebay is easy compared to this, but this is my dream. Thank you for sharing it with me. If you see something you like and it is not for sale, let me know and I am sure, "I'll make you an offer you can't refuse!" 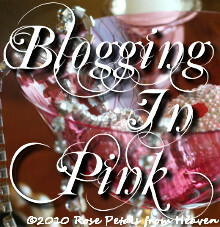 If you are a follower of my blog, email me and I will give you a discount. I am not sure how to do that yet, but I do know how to refund your money! "What a Mickey Mouse out fit you have, Martha!" I know, I am working on it. My sweet daughter, Vanessa, is going to put me on Facebook! I won't be on it, just my website. (I don't know how that works.) 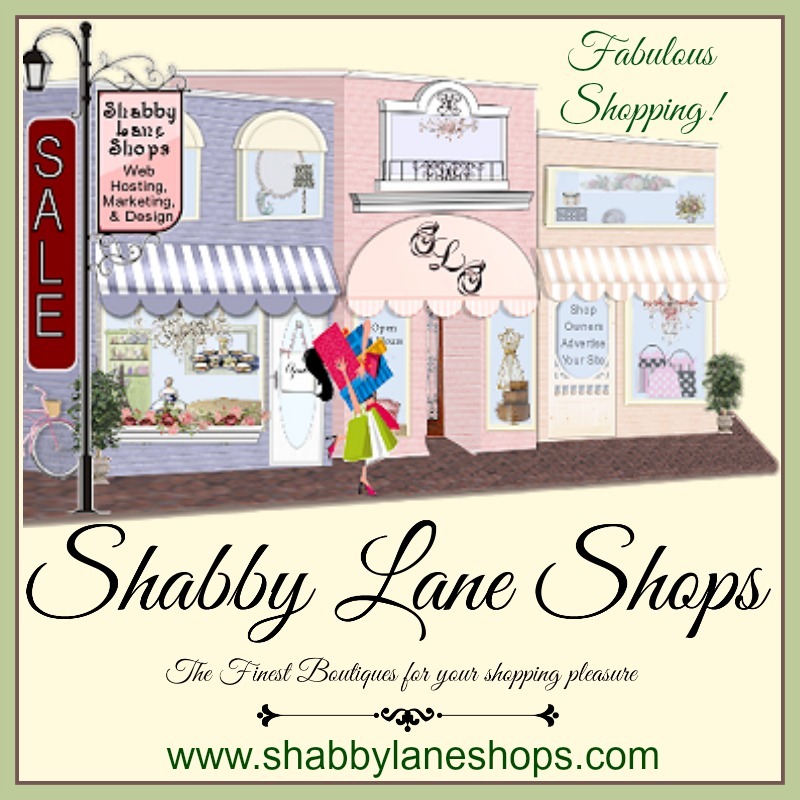 I also am joining the Shabby Lane Shops! I feel like a real business woman. You know collecting is a passion for me. Now I have another way to make some money and to trade up! Works for both of us! Here our Mr. Linky for this week. Don't forget to visit Terri, you will not regret it! We are celebrating Tea Cup Tuesday No. 64! Hope you had a wonderful Memorial Day Weekend. What scrumpdilicious tea cups you have! Yes, my friend, it's been one exasperating week with Blogger, hasn't it? I have discovered that if you do not tick the 'keep me signed in' box, it will allow you to comment. I still can't get into my dashboard and I have an awful time getting in to my own blog! Lovin your hydrangea wreath! Have a lovely week, dear lady. Oh, by all means, please sign me up for the giveaway too! Thank you. Yes, I love that teacup! I was thinking to myself it was my favorite teacup and then words later you say it is entered in your give-away! Count me in, I love the delicate blue in it especially. Congratulations on your new web site, I will be checking it out after I leave this comment. BTW, I have been frustrated on-line a lot lately too, seems to be going around. Martha CONGRATS you amazing lady!!! I have added your website as a link on my blog. I have a page dedicated to "whimsical tea party links" and your new site was added!! How wonderful and I can not wait for payday..yeeehaw! Please add me to the giveaway for sure. 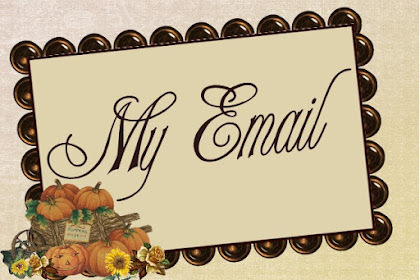 I am sorry about blogger...yes, it has been a BAD week for all, many frustrations. 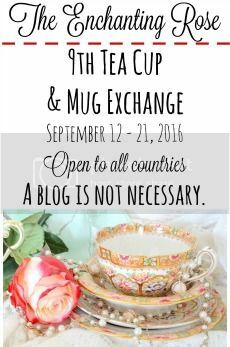 I have added a Tea Party link up this week so if you have time please link up these amazing cups to the party. Big hugs! I am SO anxious to go visit your website! Congratulations!!! Don't worry about blogger, We are all experiencing it's headaches and "They are working on it"(So They Say). 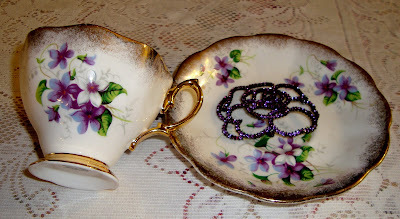 I LOVE all those Pretty Cups and Saucers and those pretty brooches AND PLEASE count me in for the giveaway. Thank you so much!!! Have a wonderful week. I'll be looking around in your website! Congrats Martha on your new website..don't be nervous we all have to start somewhere! 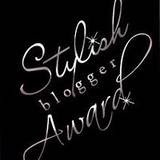 I to know the frustration on blogger, I'd be nuts by now if it weren't for my hubby always pulling me out of the muck! Please sign me up for your lovely giveaway!... I'm also having a ~Teapot~ giveaway next week sign ups will be then..hope you'll come and visit me! So pretty! 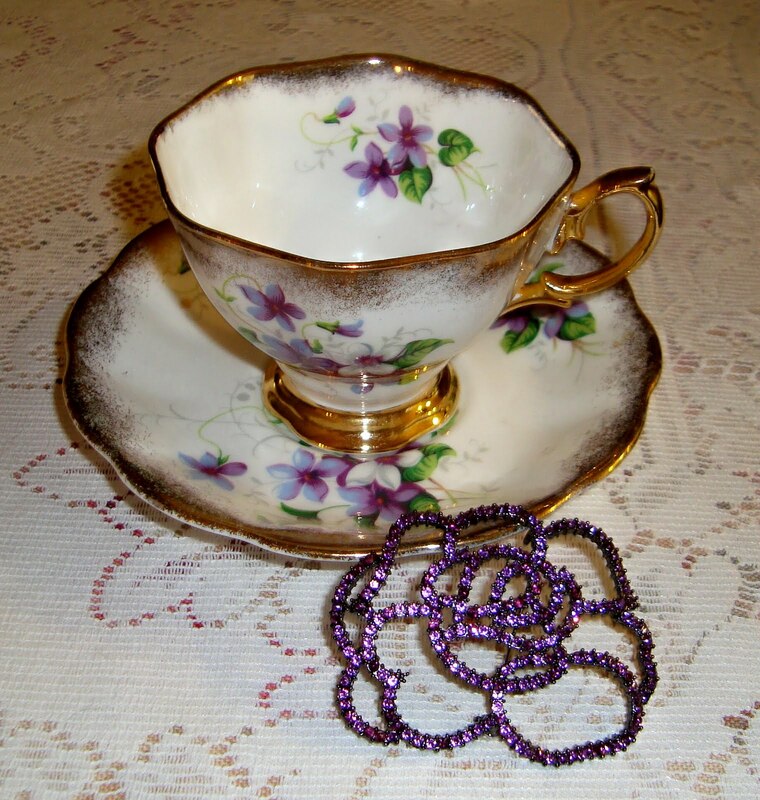 I used to have a RA Sweet Violets teacup, but it got broken. I still have the saucer. 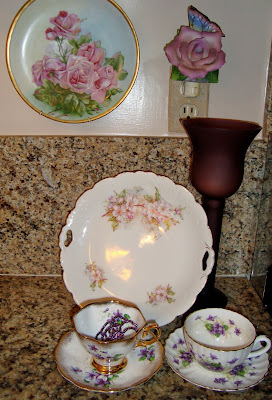 And a matching little dessert plate, which hangs in my kitchen. (Goes nicely with my violet wallpaper.) Someday I will replace the cup. 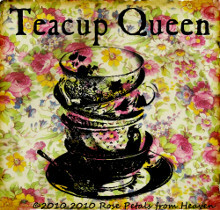 Super teacups as always and a lovely new website! Amazing new website, I lake it! Teacups are very beautiful and elegant, like the color. PS: yes i have the same prob with blogger when im using explorer so i switched to firefox which allows me to comment again *phew*, i hope blogger will fix it soon! I'm so glad I've found your blog. (Thanks to Donna) I'll be back next week to share some of my china too. PS I'd love to be in your giveaway. I just love all your exquisite teacups! I'm sure you will do just fine on Facebook. I look forward to checking out your shop. Hello Martha! Your cups today are beautiful. I love all three! I think the second cup, with the heavy gold trim is my favorite of the day. Lucky you to find them all! 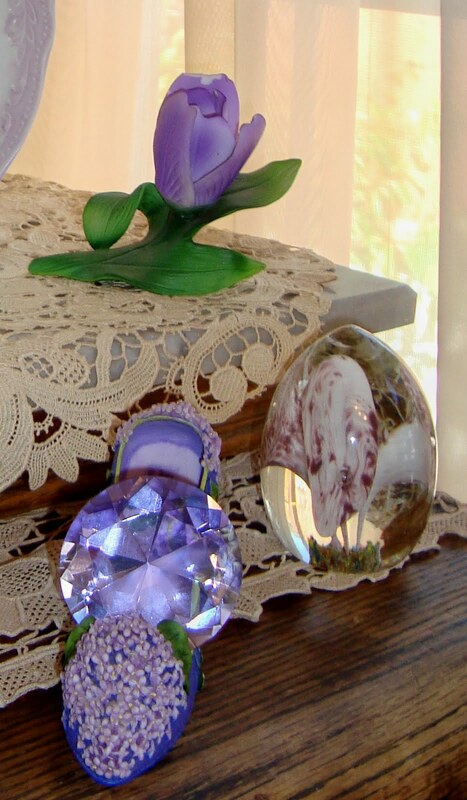 The glass eggs in the first photo are really pretty too! Congratulations on the opening of your website! Yay! I will go and have a look. Good luck with the new website. Lovely cups to share this week. 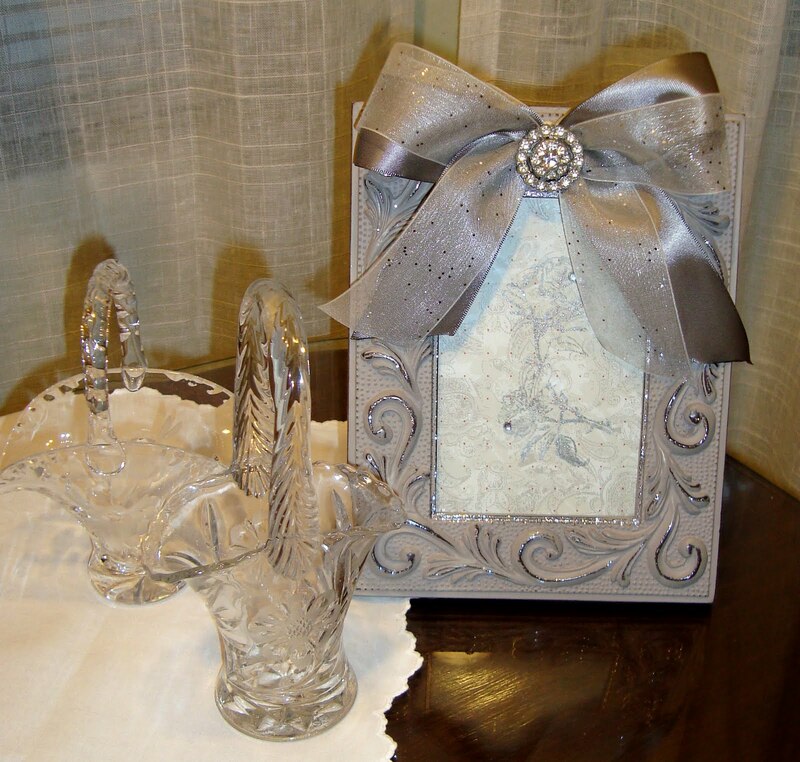 I would love to be entered into your give away. Enjoy the day. Congratulations on the new website. I know you have been working on it for some time now. I wish you great success. Congratulations on your website! You're coming along - it is good to have so many people on your side helping you - Wishing you all the best! 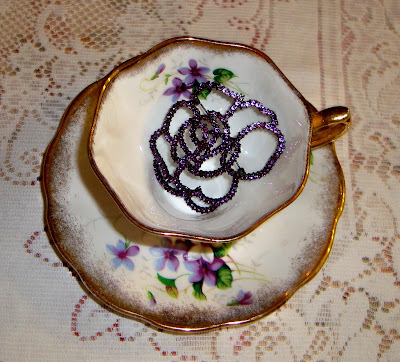 You truly do have an amazing collection of teacups - inspiring! Beautiful! I love the sweet violets tea cups. These are one of my favorite subjects to paint and they remain a popular with my clients... something about the quaint charm of a tea cup and being able to sit and relax with a cup. 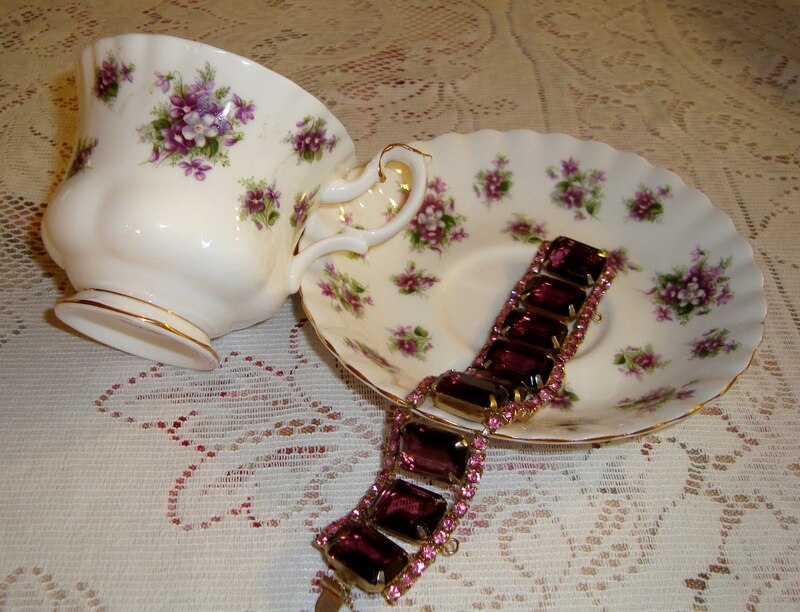 What beautiful teacups. Love the vilots particuallry. Too me they mean spring is here. I too have been frustrated with blogger. Same happening to me so hopefully this will post. Congrats on your website. Will be looking forward to it. 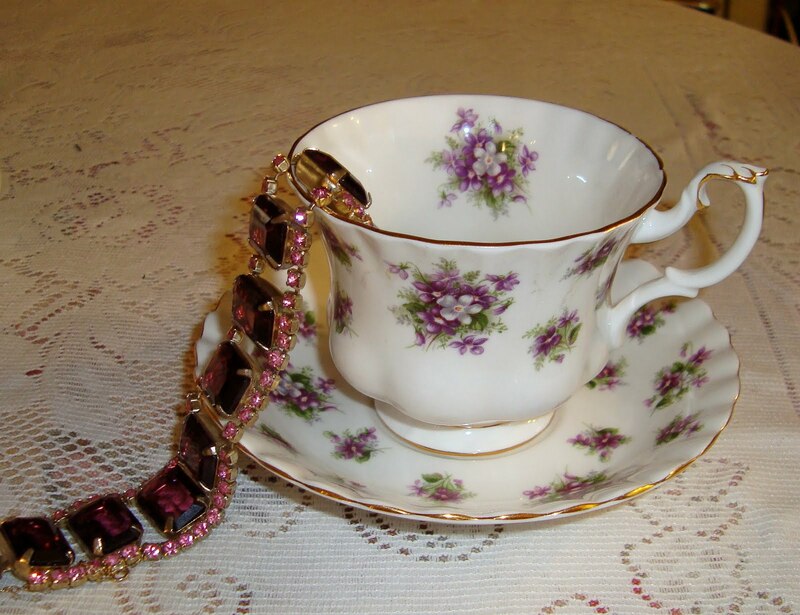 I stumbled upon your blog and knew I would like it. . .first, your name is Martha which was my Mom's name, second, you love teacups, so do I (although most of mine are packed away in a Rubbermaid container-no room in my 5th wheel RV home!, and third, you drink tea! I love tea! I'll be following you for sure! 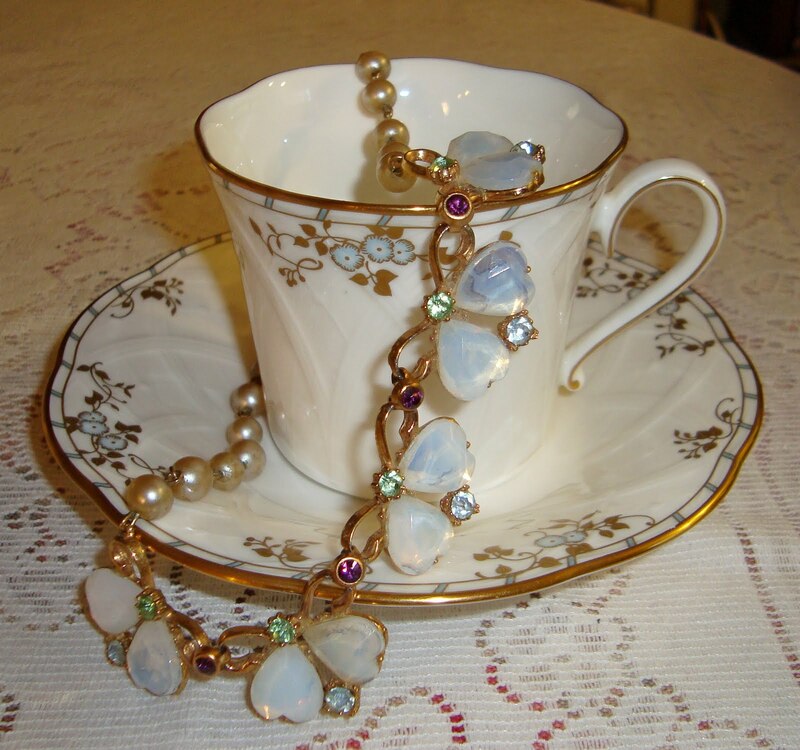 Just beautiful cups and the jewelry is very ice too. Have a great week. I've had horrid blogger problems, too. Seems to be better now. At least my followers list is back and I was able to post last night. Hope they get everything straightened out before my party on the 10th! I'll have to go visit your website! I'm so proud of you!! Hi Martha, I love your pretty purple tea things. And how smart of you to start an Ebay shop. :o) Pretty creative if you ask me! PS. It's so good to be back from vacation! I've already had a look at your website and I want to congratulate you for this new achievement! 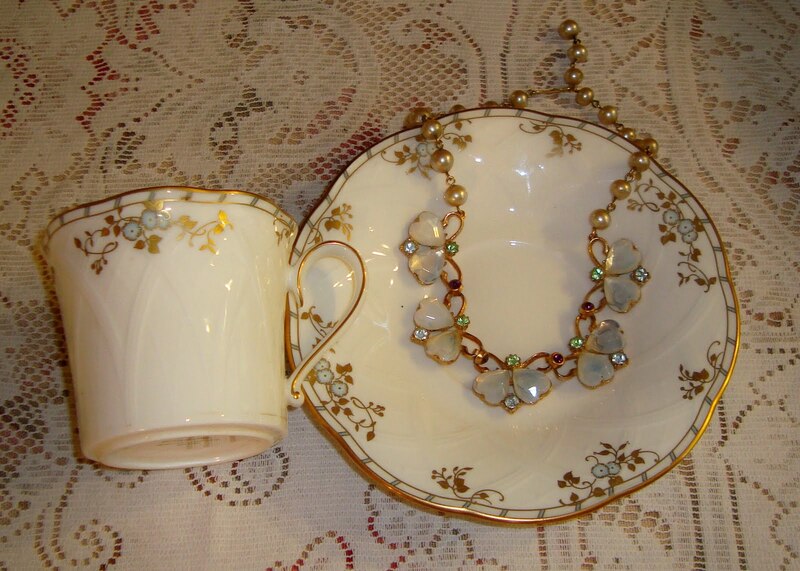 Once again you show us here beautiful porcelain cups and very nice jewelry,too. Together they make terrific photos! What lovely tea cups. I especially love #3 with the little hint of blue. Beautiful. Love your tea cups. Each one has something special in the details. Today was my first post for Tea Time Tuesday. 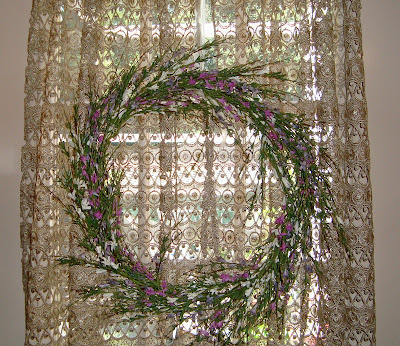 I participated from Sandi's and finding you there too. Your blog is so pretty and inspiring. I wish you much success with your new shop. Congrats on the opening. I would love to enter your giveaway too and will visit your shop as well. I had many problems with blogger too and some issues are resolved but still not able to sign in. Followers finally came back yesterday. Hope it gets fixed for everyone soon. Have a nice evening and blessings to you. Beautiful tea pot and cups. Try unchecking the box where it says do you want to stay signed in when you try to post a comment, it seems to work! I am sorry for you but glad to know others are having blogger problems, big problems I have signed onto the help center 3 times and left message, try that seem like they do read them. Love you cups with the violets on them. Ahhh, blogger troubles. People have been having trouble leaving comments on mine for a bit. 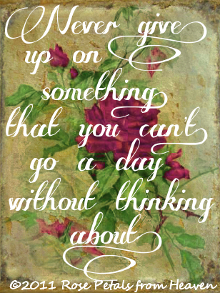 Some days they can and some days the same people can't. So far as I've researched no one has an answer....so I stopped. I figure it will change in a while. Beautiful cups. I am one of those somewhat collectors of all things antique. I'm not into one special anything. Things just strike me and I may have no other similar items. I saved 3 or 4 teacup sets from family. While lovely your give away set isn't my cup of tea. I'm just popping around to my follwers. Hope your week is grand! Just too pretty over and over and over! ou blog is just wonderful and inspiring. Love it. Beautiful pictures Martha, as usual. Just wanted to let you know that Foxfire is working better for me than Internet Exployer. I'm having the same problems you are in Exployer. Have a Blessed day. 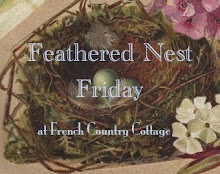 What lovely collections as always!..,I love the one with the soft robins egg blue-green motif and cream background especially. Hopefully we'll all find Blogging woes will dissipate for awhile as well as finding which web browser is best; (as you are now a '.com' and not with Blogspot I guess I thought it might be easier for you and those with other similar set ups).., Oh well!..,Better days ahead I trust! All the best to your daughter! 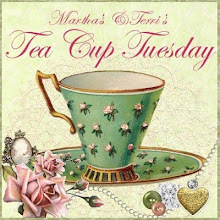 P.S.~ Please do join us once again for TTTT and also next week will mark my 85th, Tuesday Tea For Two. ~ Where has the time gone? .., We always especially love having our fellow, 'Tuesday Teatime In Blog Land', sisters join us in the fun! 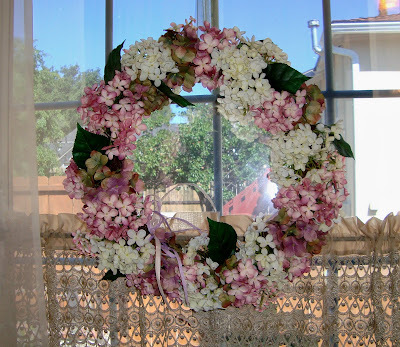 ~ Pam is now back should be back from her son's wedding and plans to resume blogging once again also.., Yay! I missed her! What lovely things you have posted here again! Congrats on your web site! how exciting!! I too have been and have been hearing about all kinds of problems with blogger. i had been taking a break to redo my Kitchen and have just now started to comment and I am seeing the problems first hand. i hope they fix it soon! Those are all gorgeous treasures, Martha and very beautiful photographed! I am sooooo happy! Your suggestion for blogger worked! You said to uncheck the sign in, and it worked! I haven't been able to post for 3 weeks now. yey!! I love this post with all of the pretty purples! Sorry to hear your sciatica is hurting. Oh, I know how that hurts. I have a herniated disk, that presses on my sciatica, and it does hurt big time. I put ice on it. You might want to try that. A frozen bag of veggies will work too. It will calm down the inflamation. I am also seeing a chiropractor. He massages the sciatica, and it feels sooo good. :) Take care sweetie, and feel better! nam linh chi có tên khoa học là Ganoderma lucidum, thuộc họ nấm linh nầm linh chi là từ lâu đã được xem là vị thuốc quý từ thiên nhiên trong việc bồi bổ sức khỏe và hỗ trợ chữa bệnh. Nấm linh chi thuộc họ nấm lim, còn có tên khác như Tiên thảo, Nấm trường thọ, Vạn niên nhung. Trong "Thần nông bản thảo" người ta xếp linh chi vào loại thượng phẩm tốt hơn cả nhân sâm. 0821jejeasics gel lyte 3 noir soldes Tout le monde basket nike air bebe voulait être comme Mike, donc tout le monde a couru pour acheter les baskets précises qu'il portait lorsqu'il menait les Bulls à asics gel nimbus herren test la victoire. La génétique a-t-elle vraiment de l'importance? Dois-je dilapider de nombreux dollars sur les suppléments air jordan 1 mid and high faux? Est-ce que les conceptions approuvant des produits et des solutions à la télévision utilisent air france in amman jordan vraiment ces produits? Plus important encore, puis-je vraiment le faire? Inutile d'affirmer, je sais juste ce basket nike air max 90 leather premium que vous ressentez vraiment parce que j'ai ressenti exactement la même chose. Selon Nike, asics pas chere femme la technologie Hyperfuse est généralement un composite, ou un mélange, de trois éléments (matériau synthétique comme une asics rouge et blanche femme couche de base de soutien, mesh pour une respirabilité légère, et film TPU comme une peau supérieure) adidas zx 700 femme grise pressé avec hotmelt.